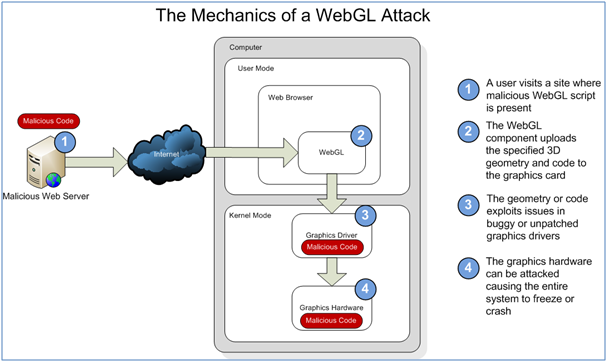 The UK security firm Context (with support from the US Computer Emergency Readiness Team (CERT) ) believes that the WebGL feature should be disabled after learning of a security threat that allows a code to be planted directly into a computer’s GPU. The “high-quality, stereoscopic 3D Vision” Youtube videos have been announced and are now available on Youtube for anyone equipped with a NVIDIA 3D ready graphics card (along with other assorted requirements). The videos are streamed via HTML5 and Firefox 4 is the only browser that will allow for such 3D viewing.